What do astrologers base their predictions of the future on? What are the various types of astrology prediction? Even among astrologers, there are many different interpretations of astrology when it comes to predicting the future. Astrologers believe that studying the relationships of stars, planetary alignment and influences can help to uncover information about a person’s future. These various aspects are the basics of astrology and they influence how astrologers perceive even the slightest details about the future. People are frequently restless and want to learn about their future as soon as possible. However, facts gained from astrology are not usually concrete and solid; astrology is often just a mere guide that helps you to prepare yourself for what things and events may come. For beginners to astrology, it is important to note that a large part of astrology is the study of influences and the relationship between those relative positions of celestial bodies and physical life here on this planet. The term astrology came from the Greek words astron (which means stars) and logos (which means language or word). In short, astrology is the study of languages emanated by heavenly bodies in accordance to the earth’s rotation. By studying these, astrologers can find some important clues of what is in the future of humankind. Nevertheless, studying astrology is an extremely complex and complicated venture, and not one you should undertake on a whim. Because our view of the stars — and therefore of the language of the stars — is constantly changing, so the meanings are always changing and, at same time, giving off some sort of energy that influences your relationships with everything and everyone. Astrologers predict and prophesy the future based on the alignment, formation, speed, and movement of the present heavenly bodies and constellations and how they influence people’s attitudes, personalities, and characteristics. Some astrologers believe that your relationship with your star sign plays the most important role in influencing your decision-making and your point of view. Heavenly bodies play a key role in charging your destiny with theoretical energy and cosmic forces and mystical powers. Therefore, astrology prediction always involves the forecast of your life based on your birth date, place, time, and name. Astrology is an instrument that can prevent you from receiving bad luck and misfortunes. Prediction using the stars, planets, and other heavenly bodies has gone back to the oldest civilization before medieval times. This practice was present and frequently utilized in early civilization, mainly in the application and use of ailment remedies, therapies, healings, and cures. The practice of astrology was popular even back then, and many shamans, wizards, physic mediums, druids, and old healers used these relationships to aid them in their daily living. However, in today’s practices, astrology is best-known and most widely utilized through horoscope predictions, which involve careers, destinies, past lives, and relationships. Horoscope predictions can give an immense amount of influence and impact to you, as it can provide you with forewarning, omens, bad luck, misgivings, misfortunes, and negative influences. Clearly, having the chance to peek into your future could be incredibly useful and beneficial to you. As you read, listen, or analyze your chart, you have the chance to alter or change your life; you have the ability to make it better. Bear in mind though, that it is just a mere guide, nothing more and nothing less. Discovering the tribulations and trials of astrology prediction can eventually change your point of view and your perceptions of life. This is a revelation with new concepts and ideas that are meaningful and deep, and as you delve and take a deep look into it, you will find yourself changing. Chinese – Many Chinese astrologers believed that mystical power and force was only given to those who strongly believed in (relatively) unknown and superficial phenomenon. As time went by, Chinese astrology predictions and practices became famous and widely known as Feng Shui. These practices focus on teaching you how to rearrange everything in your possession to receive good luck and deflect negative energies. Many people believe that Feng Shui is a practice that destroys and rebuilds the energy transposition alignment. Feng Shui experts know how to attract good and positive vibes, and they believe that each object has mystical energies that can influence the universe. Though Feng Shui originated in Asia, many westerners have now started seriously practicing it as well. Western – Western astrologers believed that the most powerful beings are known as gods, and that these gods are responsible for giving and granting all atmospheric force and phenomena — such as sunshine, rain, snow, and strong winds — associated with the four seasons of the earth. They are also responsible for introducing the horoscope. They believed that they had to worship many gods just to receive blessings and good fortunes. They also believed that they needed to regularly offer something (usually some sort of sacrifice) so that their gods would not get angry and forsake them in the process. Horoscope – Developed in Hellenistic Egypt, horoscope predictions use visual representation of heavenly bodies or of heaven, which are known as the 12 houses. The word horoscope came from the Greek word horospokos, which means a scene within an hour or an image of the hours. This visual representation usually is taken from a diagram or chart of the 12 zodiac signs or constellations, the Sun and the Moon, the angels, planetary alignments, astrological aspects, and time angles of a particular event such as your birth date. This is the quite likely the most commonly known form of astrology. Within this form of astrology are three sub-branches. Natal astrology is the practice of finding your horoscope by writing on various charts to find the significance of your birth. The beginning of this chart starts with when you were born and includes a specific date, time, place, and name. It’s believed that you can determine your life path when you construct the right information. Mundane astrology is one of the most ancient forms of astrology, and is used to predict future world events such as assassinations, wars, bombings, and many more. Electrical astrology is the practice of finding your astrological profile to help you succeed in any ventures you plan. For example, you can use this type of astrology to measure up your career compatibility. 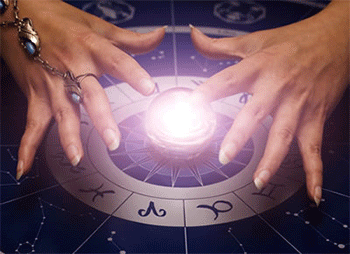 Jyotish or Indian – Jyotish or Indian astrology is described as the binding between the outer and inner world. This practice relies on the connection between the macrocosm and microcosm. The macrocosm is composed of those heavenly bodies such as the stars, others planets, moon, comets, asteroids, and many more, or it can simply be considered as the universe’s composition. The microcosm is composed of those entities that live on earth, such as plants, trees, water, wind, animals, humans, divinities, and spirits. So there you have it! Knowing your future and destiny through astrology can be a challenging undertaking, but naturally you want to have an idea about what your future, fate, or destiny holds. Astrology is your measurement in determining everything from connecting to your past lives to reattaching the broken bonds of relationships in your current life. Furthermore, by looking at your past and your present, astrology can help you to predict the possible future! Dear madam , i want to know my future . i would like to know about my future life,education,love matters. Is there any progress at my current working place? Should I continue work here? Please help! I want to know about my marriage period..and about my career too..